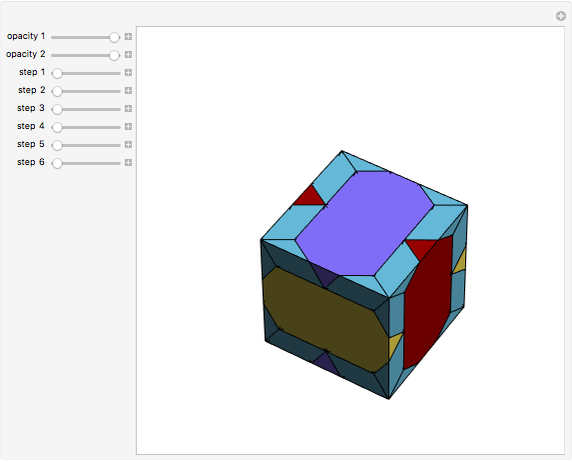 This Demonstration gives a dissection of a cube into a rhombic hexecontahedron, a smaller cube, and three congruent solids that are derived from golden rhombic solids to which halves of rhombic dodecahedra of the second kind are added. This is analogous to the dissection of a cube into a dodecahedron, a smaller cube, and three bilunabirotundas. 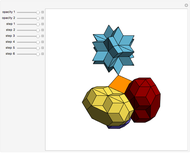 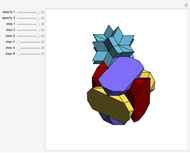 Izidor Hafner "Dissection of a Cube into Five Polyhedra"